Come in and be part of the Mike Murphy Ford Experience! Just a short drive from anywhere! We get it…Price Sells Cars! Hi to all my old and new friends! On behalf of everyone at Mike Murphy Ford, I would like to thank you for visiting our web site. We are committed to serving our friends and customers via the Internet and look forward to hearing from you. We are a full service Ford dealership offering first class sales and service for our valued customers. We have been in business for over 34 years at 565 West Jackson Street in the heart of Morton, Illinois. Our phone number is (800) 579-4670. If you have any questions or need to reach me, you can call the dealership’s phone number or email me at mikemurphy@mikemurphyford.com. Thanks again for visiting MikeMurphyFord.com! Welcome to Mike Murphy Ford! For over 34 years, we’ve been proud to help drivers like you in the Pekin, Peoria, and surrounding Illinois communities with all of your automotive needs. At our showroom located at 565 West Jackson Street in the heart of Morton, we have created a no-pressure, comfortable, car shopping environment so that you can take as much time as you need to find your next vehicle. At Mike Murphy Ford we understand that purchasing your next vehicle is a huge investment – Therefore, our automotive experts are here to help you along every step of your car shopping journey. Our courteous team will listen to all your needs and help you find, finance, and customize a new Ford or used vehicle that you’ll love for years to come. Even after you drive off our lot, we’ll continue to help with top of the line, yet affordable, automotive maintenance and repair services. Learn more about our dealership below and then visit our showroom to experience a first-class car shopping experience today! As a premier Ford dealership for the Morton community we are proud to offer the latest Ford models available. From a versatile SUV like the Ford Escape to a powerful pickup truck like the Ford F-150, our extensive new 2019 Ford inventory has a wide variety of colors and trims for you to choose from – Plus, all of these new cars, trucks, and SUVs include the innovative technology and conveniences you crave. At Mike Murphy Ford, our automotive experts will help you test-drive the Explorer, Fusion, F-150’s and all the Ford vehicles we have on our lot. Plus, if you don’t see your perfect vehicle we’ll be happy to help you customize your new Ford with all the features, technology, and even color you desire. With competitive prices, new vehicle specials, and exclusive offers we could save you hundreds on your next car – Visit Mike Murphy and test-drive your new Ford today! Looking for a gently-used vehicle in the Pekin, Peoria, and surrounding Illinois communities? – Look no further than Mike Murphy Ford! Our pre-owned inventory is filled with cars, trucks, and SUVs that have been hand-selected by our automotive experts for their superior condition and remarkable low-mileage. 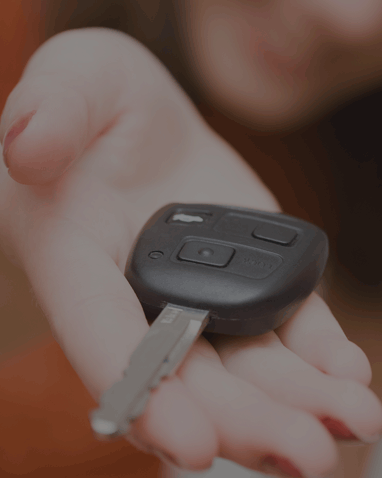 Filled with vehicles in trustworthy makes, our used inventory provides drivers who are shopping on a budget with a high-valued vehicle for a shockingly low price. However, if you’re looking to save even more, check out our used vehicles priced below $10,000 as well as the exclusive used vehicle specials that we have available at our dealership in Morton, IL today! After you’ve customized your new Ford or found your perfect vehicle in our pre-owned inventory, take the time to speak to our financial gurus. At Mike Murphy Ford, our finance department works with prestigious financial institutions throughout the Pekin, Peoria, and surrounding Illinois areas so that we can offer you the unique financing options and great low rates you need. Bad credit, no credit, or a first-time car buyer? We are committed to ensuring that all of our customers drive away with the utmost peace of mind in their new purchase – Even those that are credit-challenged. Let us help you value your trade or calculate a low monthly payment that fits in well with your budget. Simply fill out a finance application online and let our experts customize your financial plan today! For trusted auto maintenance and repair services in the Pekin, Peoria, and surrounding Illinois areas choose Mike Murphy Ford. At our automotive service center in Morton, we offer a great lineup of automotive services. 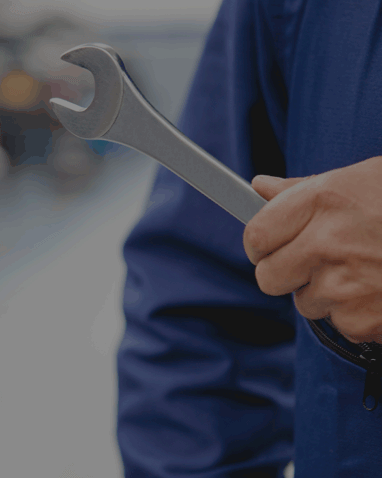 From oil changes to complicated repairs our automotive technicians utilize years of experience in the industry to get you back behind the wheel as quickly as possible. Each of our competitively priced services are completed in a fast and accurate manner using the best diagnostic equipment and OEM parts available. Trust the experts at Mike Murphy Ford to keep your vehicle running in top shape – Schedule an appointment online or call us at (309) 263-2311 today! Thank you for taking the time to learn more about all the services we offer at our dealership conveniently located in the heart of Morton, IL! At Mike Murphy Ford we strive to create a premium car-shopping environment for drivers like you throughout the Pekin, Peoria, and surrounding Illinois communities. When you visit our showroom, you’ll be greeted with a handshake and a smile by an automotive expert that will take the time to learn about what you’re looking for in your next vehicle and help you find one that is perfect for your family’s lifestyle. For over 31 years we have been proud to offer top-notch vehicle maintenance and repair services as well as exclusive financing offers to help you save money on your new Ford. Contact us at (800) 579-4670 or visit us today – We’re here to assist you with all of your automotive needs.